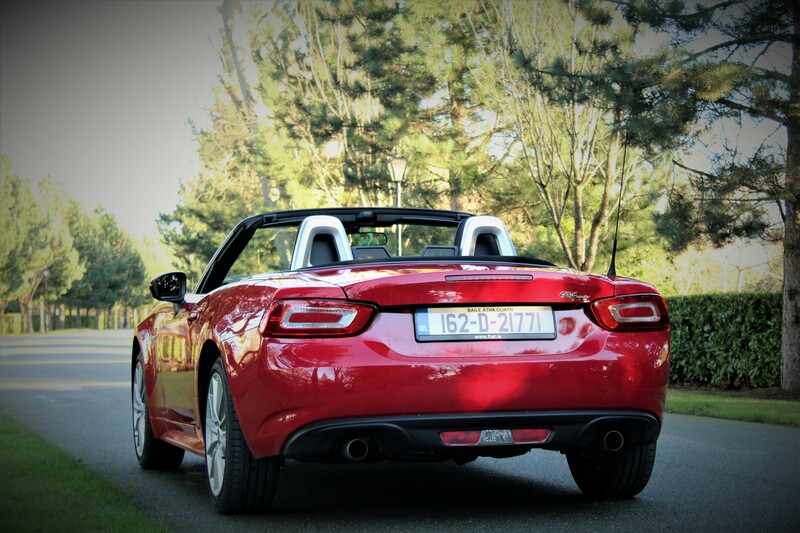 The all-new 124 Spider marks the return of the Fiat brand to the playground where the Mazda MX-5 has enjoyed almost unrivalled control for many years. It seems strange then that Fiat would achieve this goal by going into business with Mazda to produce the 124 Spider, or does it. 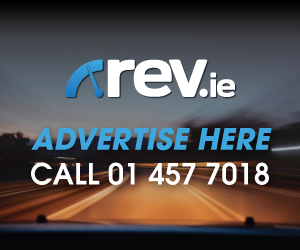 Essentially what they have now done is greatly reduced their own research and development costs and produced a beautiful two seat roadster that offers an alternative to the MX-5 along with the added flare of its Italian heritage. 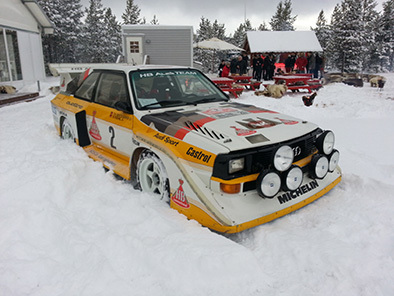 From the outside, Fiat have gone to great lengths to ensure that the history of the original 124 is not forgotten. 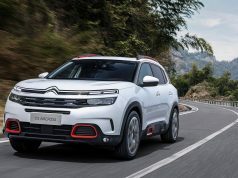 Whilst what is under the metal may indeed be supplied and built by Mazda, the exterior has been influenced entirely by the Fiat design team and the result is a more stylish and rounded car. The nose of the 124 Spider along with the positioning of the LED headlamps are both inspired by the 1966 original model while the rear is defined by two main features in the “swallow-tail” rear wings and the sharp horizontal tail lamps with their distinctive ring shape. The twin exhaust outlets add to the sporting pedigree of the 124 Spider. 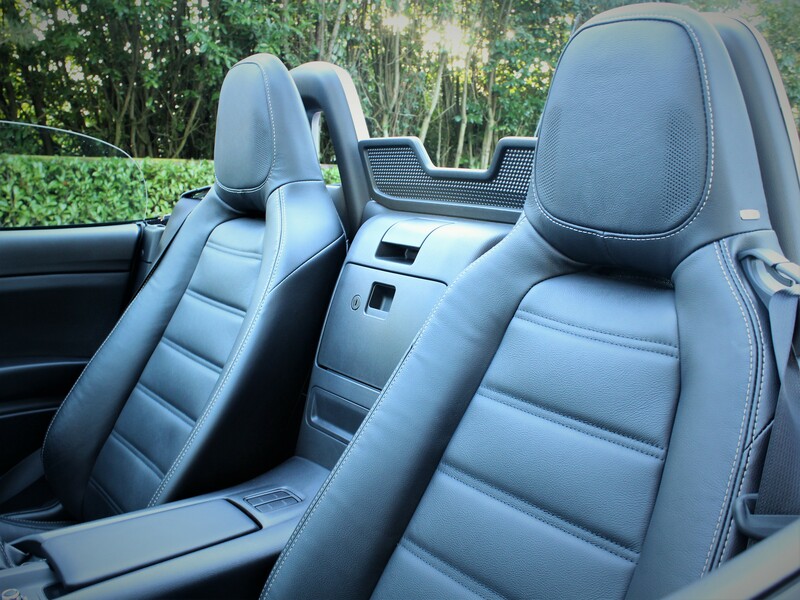 Sitting into the new 124 Spider you will be greeted by what is essentially the interior of the MX-5. That’s not necessarily a bad thing either because the MX-5 is finished well and the infotainment interface is used throughout their range. Storage space within the cabin is limited to say the least but you don’t buy a roadster to be able to carry all the weekly shopping home with you so we can overlook that aspect of it. The 124 Spider does have a 140 litre boot which will comfortably take a couple of weekend bags but that’s about the height of it. Thankfully the 124 Spider had the benefit of heated leather seats considering temperatures reached sub-zero during my week-long test drive. 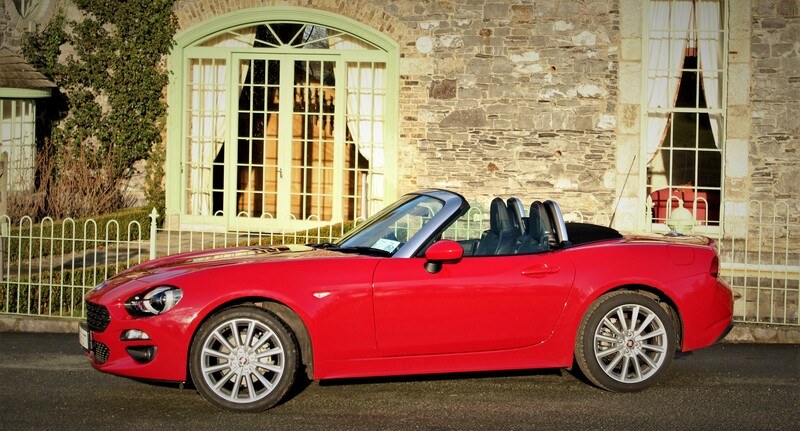 The 124 Spider is available in Ireland in three trim levels; Classica, Lusso and Lusso Plus. My test car for this review was in Lusso Plus trim which offered sat-nav, rear parking camera and sensors, 17 inch alloys, keyless entry, chrome exhaust as well as adaptive LED headlamps, LED daytime running lights, automatic lights and wipers and a nine speaker BOSE sound system with speakers built into both headrests. Fiat have also made some tweaks to the suspension setup to give a more sure footed feel to the 124 Spider. Up front the double-wishbone layout along with the multilink in the rear has been specifically tuned for greater stability while braking and cornering while the electric power steering system gives more feedback to the driver and is slightly more weighted than the MX-5. This in turn makes for a more involved driving experience. 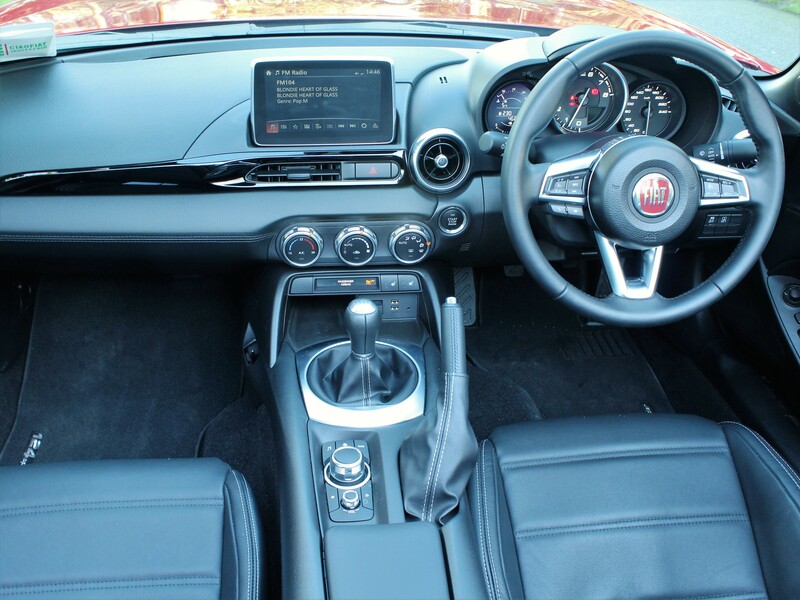 The Fiat 124 Spider is powered by Fiat’s own 1.4 MultiAir, turbo-charged four-cylinder engine which delivers 140hp and 240Nm of torque to the rear wheels via six-speed manual transmission and compact rear differential. The FIAT 124 Spider is capable of accelerating to 100km/h in just 7.5 seconds and has a top speed of 215 km/h. Given the overall weight of the 124 Spider coming in at just slightly over the tonne, the 1.4 turbo-charged engine is perfectly capable of providing endless smiles. Driving is always fun in this car. Wind noise is surprisingly minimal for a soft top. 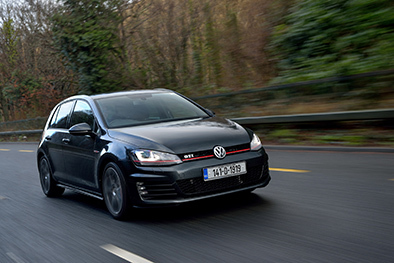 Where the fun really kicks in is as you push it on along country roads and the 124 Spider takes in every corner with ease. 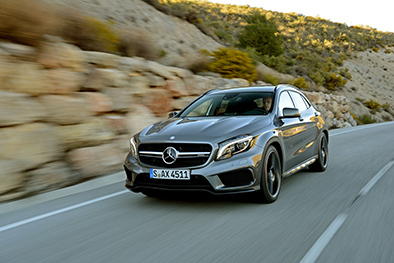 The fact that it is rear wheel drive means the 1.4 turbo-charged engine pushes you around each bend effortlessly. 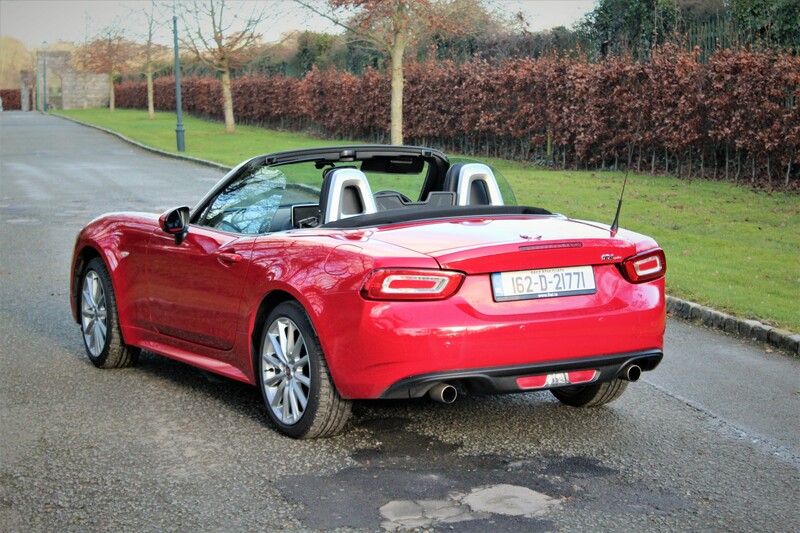 What the Fiat 124 Spider now does, is offer an alternative to the MX-5 and a good one at that. 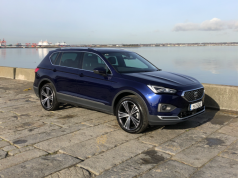 It seems unfair to spend an entire review comparing two models constantly but given that they are made up of so many identical parts it would be wrong not to. 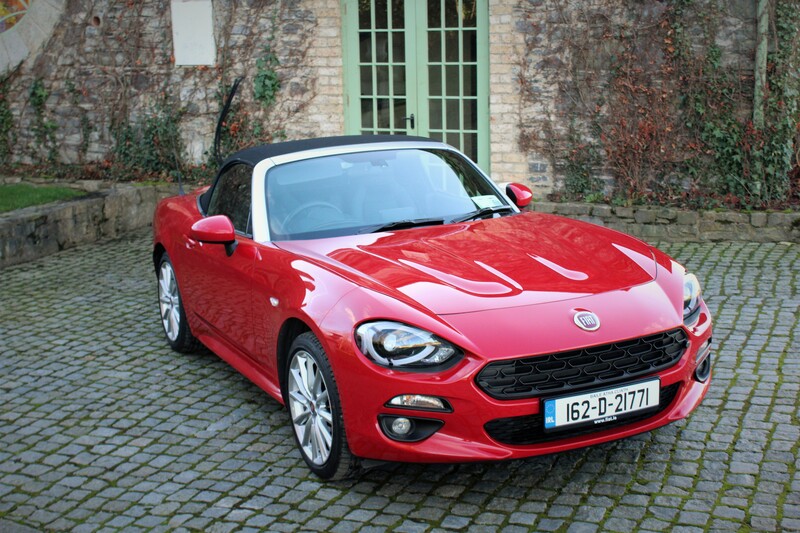 Fiat have made the 124 Spider a more attractive looking car along with the reviving the fun of driving again.